Saxophonist Andrew Dahlke is becoming increasingly recognized across the U.S. for his versatility and the high level of artistry he brings to various musical settings and genres. 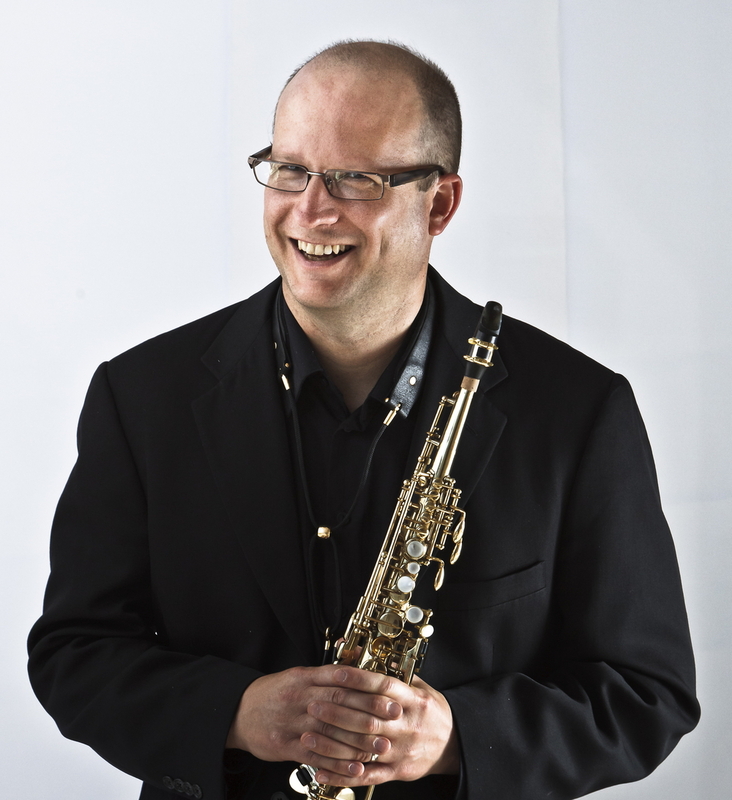 Andrew has received praise as a concerto soloist, recitalist, chamber musician, orchestral player, and jazz saxophonist and improviser on multiple saxophones. Andrew recently completed a double CD recording of J.S. Bach’s cello suites on soprano, alto, tenor, and baritone saxophones, which will be released early in 2012 on the White Pine Music label. This was the culmination of an extended period of study, performance, and dedication to the suites. An Aspen Music Festival alumnus and frequent performer at the Festival, Andrew has performed with the Aspen Chamber Symphony, Aspen Wind Ensemble, and the Opera Theatre Program, working with conductors David Zinman, Leonard Slatkin, Michael Christie, and Joaquin Valdepenas. Andrew also regularly performs at the Bravo! Vail Valley Music Festival with the Philadelphia Orchestra and the Colorado Symphony in Denver with conductors including Rossen Milanov, Steven Reineke, Marin Alsop, Jeffrey Kahane, and Larry Rachleff. As a member of the Capitol Quartet on baritone saxophone, Andrew has been featured with countless orchestras and in recital across the country including extended and return engagements with the Indianapolis and Baltimore Symphonies. The group has collaborated closely with pops conductors Jack Everly, Jeff Tyzik, and Marvin Hamlisch as well as broadway divas Ann Hampton Callaway and Judy McClane, and clarinetist Jon Manasse. The most recent CD of the Capitol Quartet was recorded under the auspices of an Aaron Copland Fund grant with White Pine Music and is comprised of pieces by American composers commissioned by the quartet. The CD is entitled Flex: Five Pieces for Four Saxophones and will soon be available. As a concerto soloist Andrew has appeared with the Gangnam Symphony, Seoul Wind Ensemble, and Jeju Festival Winds in Seoul, Korea, and the Texas Christian University Symphonic Winds and the University of Northern Colorado Wind Ensemble among other groups. As a recitalist and clinician Andrew has been a guest at numerous conferences and universities including: Indiana University, the Cincinnati Conservatory, the University of Michigan, Michigan State University, Hanyang University and the Korean National Arts University in Seoul, Penn State University, the SUNY Crane School of Music, Arizona State University, the North American Saxophone Alliance, and the International Association of Jazz Education. Early in his career Andrew collaborated and performed frequently in the Detroit area with jazz artists including bassists Rodney Whitaker and Paul Keller, drummer Gerald Cleaver, and pianist Craig Taborn. After his subsequent move to New York City in the early 1990’s Andrew led groups and performed at venues such as the Knitting Factory, the Kitchen, the Bell Café and the Cornelia Street Café with musicians including bassist Reid Anderson, pianist Ethan Iverson, drummer Clarence Penn, cellist Jane Scarpantoni, bassist Marc Sloan, and saxophonists Floyd King and Alex Harding. Currently, in addition to freelance work, Andrew performs with the Colorado Jazz Orchestra in the greater Denver area.